Steering start felling loose? Maybe you can hear knocking when going over bumps in the road? Then it’s time to change the upper control arms. 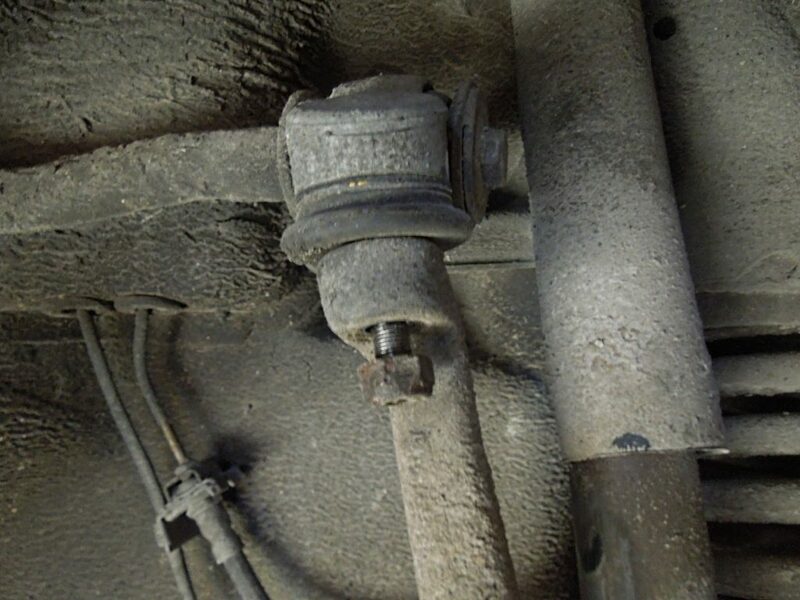 These have large rubber bushings that wear down steadily over time and a ball joint holding the knuckle arm in place which can get the typical knocking sound. 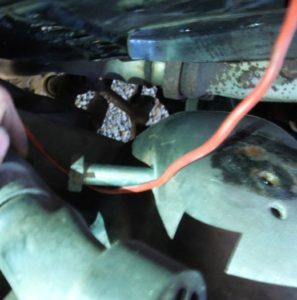 This part is a common failure in the MOT, but the part is quite cheap and should be changed if it’s old. 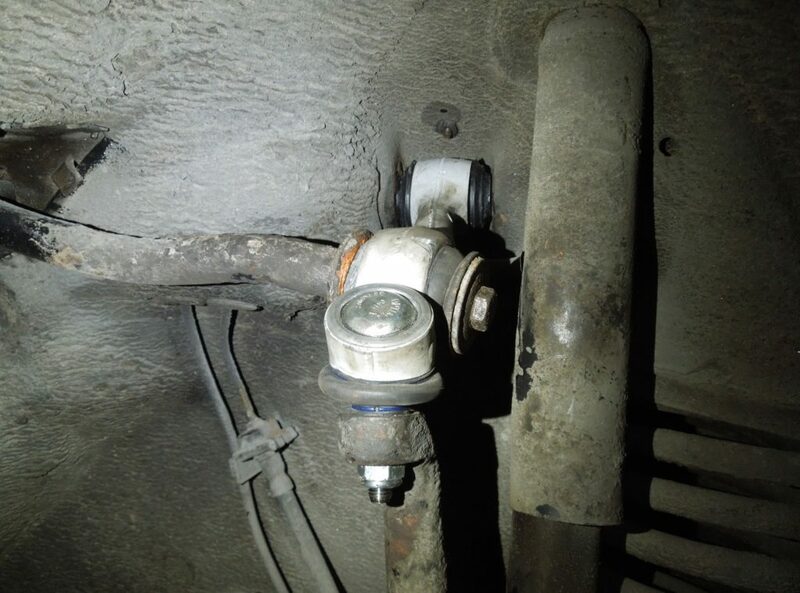 The failure in the control-arm most often happens in the ball joint, and since you can’t replace the ball joint separately when the part is one forged piece, you have to replace the whole control arm. 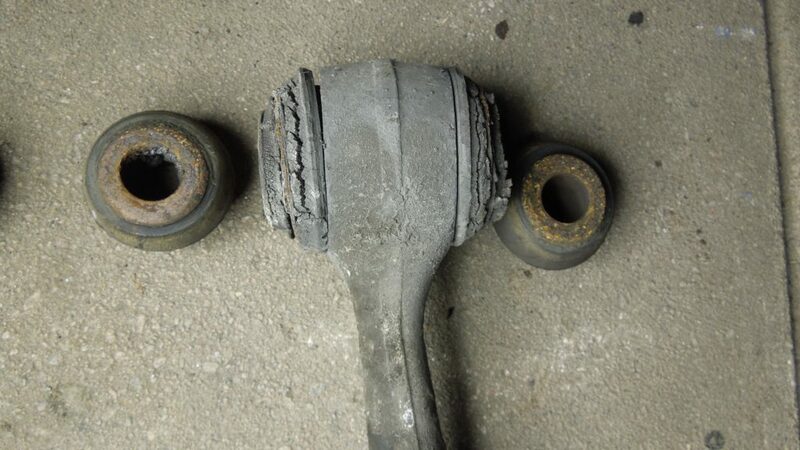 This control arm might become dangerous due to the deteriorated rubber. As for the parts you will need a new control arm and two rubber bushings if you are only doing one side, but I recommend just doing both sides the same time. You might in some cases need a wheel alignment after, but most times you get away with it if you leave the tie-rods be. 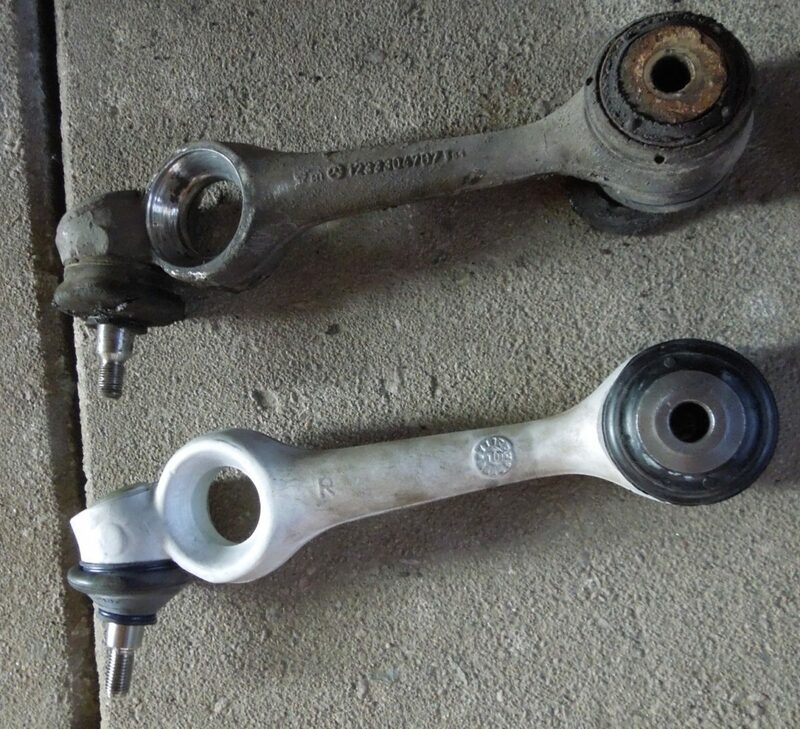 The control arms are different for each sides, so be sure you get the right one if you are only changing one side. Secure the rear wheels then Jack the front of the car up and put it on jack stands. Take off the wheels. Then use the jack to raise the front suspension a bit up to change the angle of the sway bar so you can easier loosen the ball joint and nut. Start loosening the ball joint nut. The ball joint might start rotating, use a hex key and a spanner to counter the rotation. 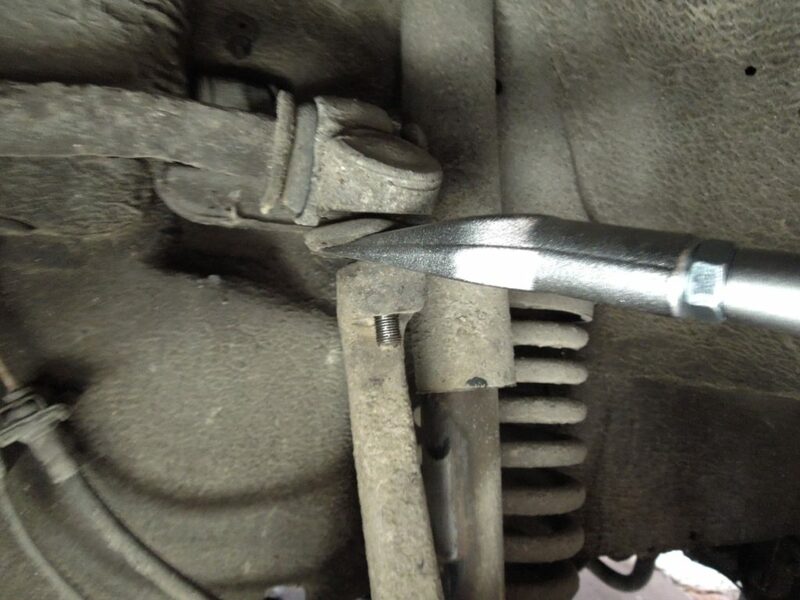 No start to pry it off with a tie rod/ ball joint remover fork. 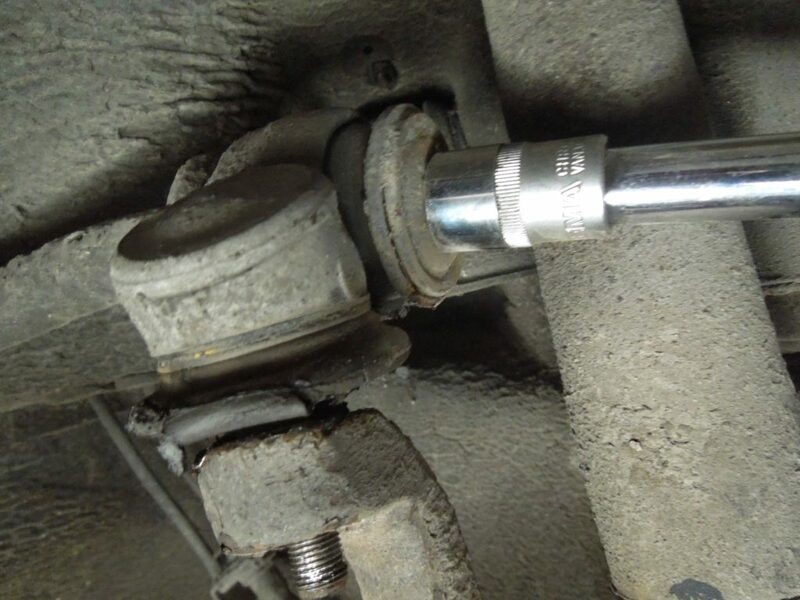 This will in most cases ruin the rubber gasket for the ball joint so you can not reuse this part afterwards (make sure you have the correct side control arm before doing this). 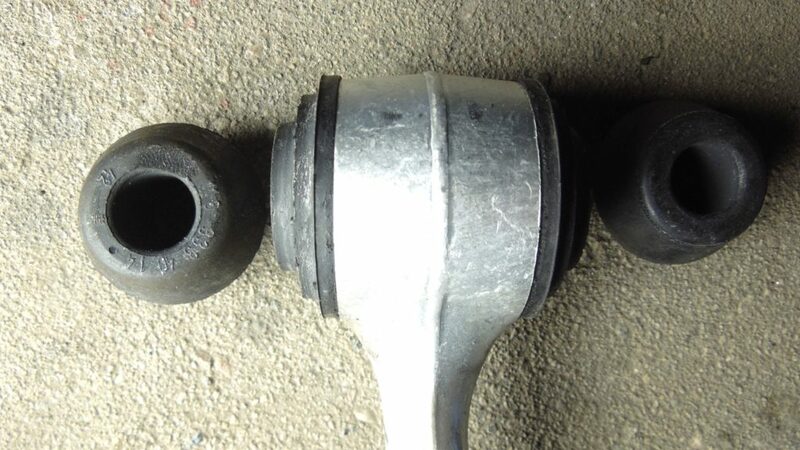 The ball joint usually sits really hard, so you need to use some muscle to pry it loose. A long fork bar is desirable. Prying off the ball joint, this method will break the rubber gasket and make it unusable. It’s going to be thrown anyway. Then loosen the nut at the sway bar end and loosen the washers, make sure you note which orientation the different washers have, take pictures if needed. Use the jack to raise or lower the suspension for being able to get the ball joint off the suspension vertical arm. Prepare a zip tie for the knuckle arm which is attached to the lower ball joint and will want to go all over the place unless you secure it to the damper with a zip tie. It is a bit difficult to attain the height needed on the control-arm to get it out of the knuckle arm. You just need to work it off by pushing upwards and using the jack actively. 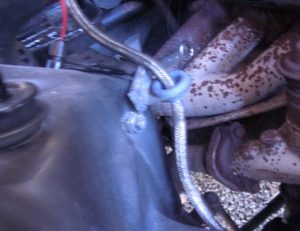 Now you will need to open your hood and get into the engine compartment for removing the inner control arm attachment bolt. The fitting is kind of fiddly. You are required to use some muscles and ingenuity to be able to push the control arm and the new bushings on to the sway bare in order to get the bolt in. So get ready to sweat! Prepare the new control arm with the two rubber bushings for the sway bar. Smear the sway bar end with some grease to make it easier for the rubber to slide in. Place the first bushing before placing the control arm. 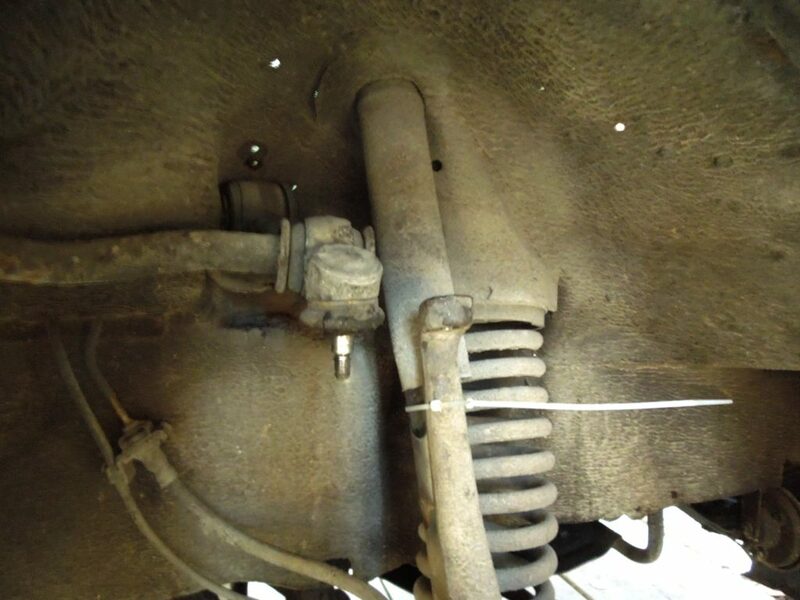 The hardest part is pushing the the control-arm enough in on the sway bar end so you can fasten the end bolt. The rubber bushings are new and quite wide and stiff compared to the old ones, so you will wrestle this a bit. A helper is nice here, but it is very achievable alone too (I never had a helper on this). In order to squeeze the rubber together far enough so I could get the washers and bolt on, I used a brake caliper separator tool, but for clamping so I could squeeze the control-arm onto the inner bushing, that way I could squeeze enough so the bolt would get on. Worked out perfectly. 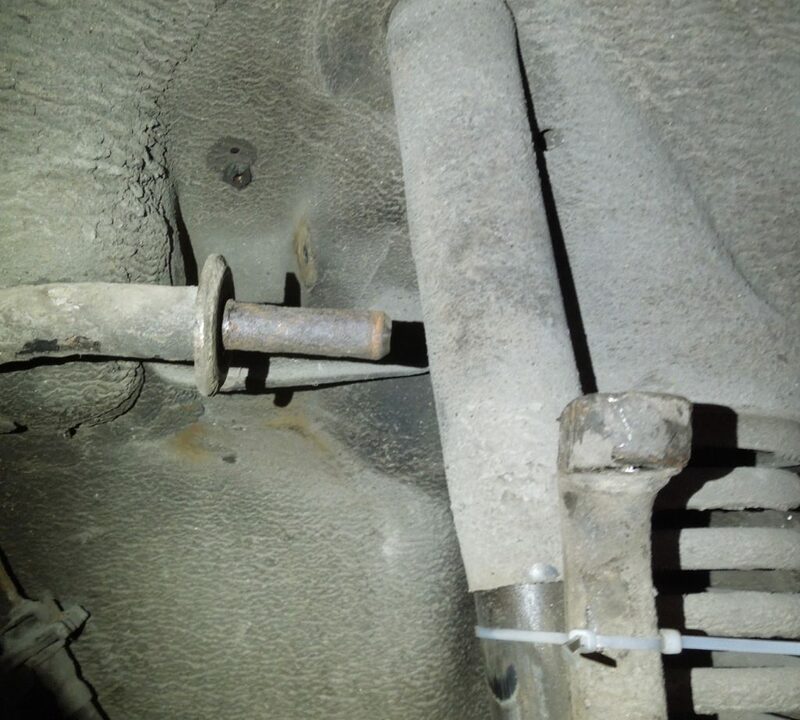 Do not tighten the sway bar bolt before fitting the inner bolt from the engine compartment. Then at last place the ball joint through the knuckle arm and then tighten down with a torque wrench.